On the 20th of February, we will globally recognise #WorldDayOfSocialJustice. In 2009, the UN General Assembly approved the observance of ‘World Day of Social Justice’ with the vision of promoting social justice globally. Therefore, this special day is annually recognised on 20th February which continues to bring awareness to some of the world’s most prominent issues such as poverty, unemployment, gender inequality and the violation of human rights. Continuing to this day, over 45% of the world’s children are currently living below the poverty line. 22,000 children are sadly dying each day as a result of the undernourishment and general day to day conditions they are forced to endure. Other contributing issues that are inextricably linked and require consistent international support are human rights violations and subsequent rising unemployment. In Sub-Saharan Africa and regions of India, an individual’s poor access to human rights such as access to clean water and adequate education, in turn, contributes to unemployment numbers. As a result, this prevents communities from escaping the poverty line usually set at below an income of $2 a day. With these global issues naturally having an impactful effect on one another, it’s appropriate to attribute a collective term in ‘social justice’ that represents these issues as a whole, whilst also promoting further awareness to the issues that create the inequality social barriers we see currently. The aim for the United Nations, international organisations, NGO’s and other unions are to individually work in their own capacity to collectively achieve social justice, peace, harmony and equal opportunities for all without gender, race or religious discrimination. All supporting organisations contribute uniquely to affect change in a specific community or complete a specific project. At Drop4Drop, our contribution to promoting social justice is through our clean water projects for communities throughout India and Africa. Additionally to this, we run health and sanitation workshops provided with the aims of reducing water-related disease and educating individuals on how to improve their overall health. These efforts would not be possible without the support of our donors. 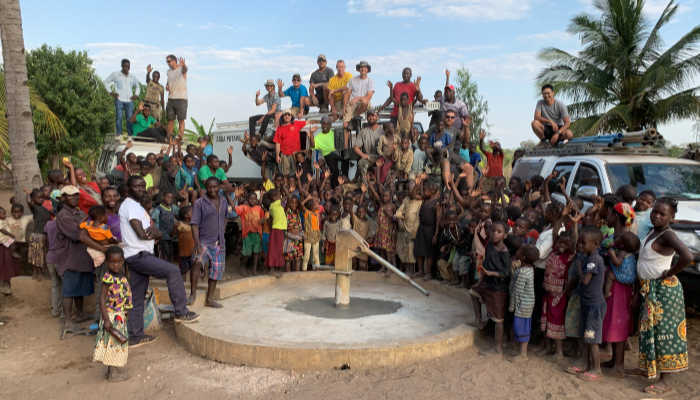 This is made possible by those who may even donate as little as $3, as this provides someone less fortunate than themselves with access to more locally sourced clean drinking water that’s safe for them and their family. This will subsequently allow for more opportunities in education or the ability to gain an income to support their family. For more information on what we do, visit our Twitter, Instagram and Facebook: @drop4drop.